Faux leather fabric samples. 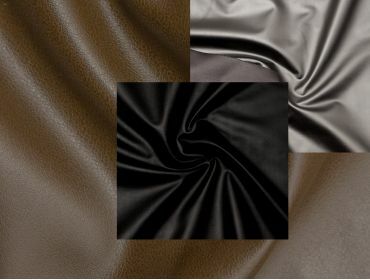 Also referred to as matte vinyl, imitation leather, leatherette, and artificial leather. Our fabrics range in thickness and degree of stretch. Common uses include corsetry, light upholstery, motorcycle seats, Cosplay, halloween costumes, and more. Faux Leather Swatches has been added to your cart.